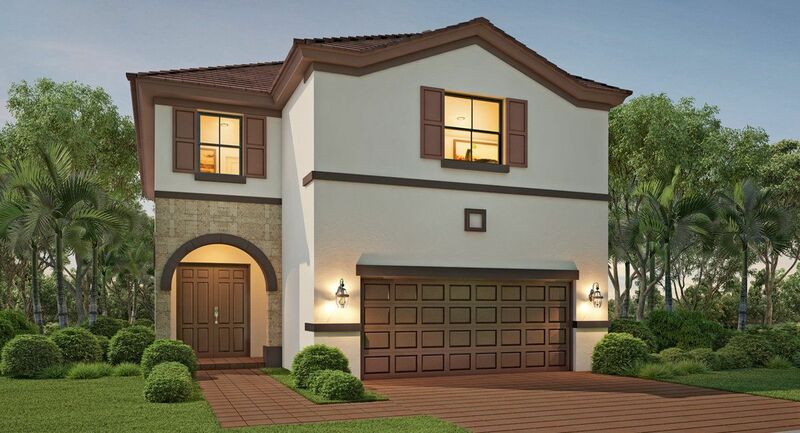 With a unique collection of single-family homes, townhomes and villas, AquaBella in Hialeah is waiting to be discovered. A master-planned gated community, AquaBella is highlighted by its very own magnificent lake and will feature a deluxe Clubhouse with elegant lobby, resort-style pool and sundeck, fitness center, game room and more. Tree-lined sidewalks contribute to the park-like setting of this beautiful private community, while its ideal location in Hialeah with excellent schools, shopping, restaurants and ease of commuting, make AquaBella one of today’s most desired addresses in South Florida.